Parenteral dosage forms are administered as an injection or infusion, hence the term injectables. Common injection types are intravenous (into a vein), subcutaneous (under the skin), and intramuscular (into muscle). Infusions typically are given by intravenous route. Parenteral dosage forms include sterile solutions, suspensions, and emulsions. Parenterals are classified by volume; a small volume parenteral (SVP) has a solution volume per unit package of 100 mL or less (as defined by USP) and is intended for intermittent intravenous administration (usually defined as an infusion time not lasting longer than 6-8 hours). 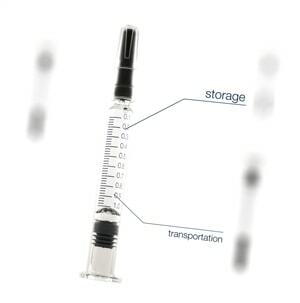 SVPs can be packaged in ampules, vials, prefilled syringes, bottles, and plastic bags. Alternatively, a large volume parenteral (LVP) has a solution volume per unit package of 250 mL or greater and is intended for longer term intravenous administration. Common uses of LVP solutions without additives include: 1) correction of electrolyte and fluid balance disturbances; 2) nutrition; and 3) vehicle for administering other drugs. Typical LVP packaging systems include glass bottles, with or without an air vent tube, and plastic bags. Global regulators consider parenterals/injectables to be high risk in terms of adverse outcomes arising from their packaging. For example, Table 1 of the FDA’s 1999 Container Closure Guidance assigns injections and injectable suspensions its highest level of concern for packaging interactions, based on the high likelihood that a packaging dosage from interaction could occur and the highest degree of concern associated with the route of administration. A somewhat lower risk is established for injectables in USP <1664>, based on a lower likelihood of interaction. Given this classification, Table 2 of the FDA Guidance notes that extensive testing, including USP Biological Reactivity Testing and possibly extraction/toxicological evaluation, is necessary to establish that the packaging has an acceptably small adverse effect on patient health. Similarly, the Immediate Packaging Guidelines of the European Medicines Agency (EMEA) establish that parenteral packaging systems (and their materials of construction) must be tested by rigorous means (including compendial compliance, extraction studies, interaction (leachables migration) studies and toxicological information) to establish their safe use. Lastly, rigorous testing for the selection and qualification of packaging materials and systems, applicable to parenterals and injectables, is described in various mandatory USP chapters including <660> (glass), <661.1> and <661.2> (polymers), and <381> (elastomers). In addition to the high risk associated with a parenteral and its packaging, parenterals and their packaging have certain unique features which complicate the chemical and biological safety assessment. First, parenteral packaging is compositionally diverse, consisting of a multitude of materials of construction including elastomers, glass, stainless steel, LDPE, HDPE, PP, PETG, COC, COP, PVC, multilayer films, etc. As such materials will have varied and potentially complex compositions, the universe of potential foreign drug product impurities (extractables and leachables) is large and chemically diverse. Additionally, the packaging systems may be complex, consisting not only of the primary container but auxiliary or secondary components such as printing, labels, overwraps, connectology and stabilizing devices (e.g., oxygen absorbers), all of which are sources of extractables and leachables. Moreover, parenteral formulations are chemically complex and diverse, thereby having variable and potentially aggressive “leaching powers” and presenting potentially great challenges with respect to their analytical characterization. Furthermore, the conditions of contact between a parenteral and its packaging can be relatively harsh, increasing the likelihood of leaching. For example, packaged parenterals may be subjected to high energy sterilization (thermal or by irradiation) or may have relatively long shelf lives. While these circumstances profoundly affect the complexity of the chemical and biological testing used to establish the safety of parenteral packaging, the most significant characteristic of parenterals that makes their safety assessment so challenging is their relatively large daily dose volume. Simply stated, the health of patients using drug products is adversely affected in direct proportion to the dose of leachables to which they are exposed, with the greatest adverse effect occurring at the highest dose of the most toxic substances. In this case, dose is related to the concentration of the leachable in the drug product while toxicity is related to the identity of the leachable. Thus, the essential analytical task in chemical safety assessment is the discovery, identification, and quantitation of leachables in drug products or extractables (as potential leachables) in extracts. Practically, such a task becomes impossible if it is pursued to the extent of identifying and quantifying all the leachables (extractables) that can be detected by the sophisticated analytical methods used in extractables and leachables testing, where the number of extractables or leachables becomes so great that it is a herculean task to identify and quantify them all. To address this point, the analytical evaluation threshold (AET) was developed, based on the hypothesis that there is a dose of an impurity that establishes a safety threshold. Below this threshold, an impurity will have a negligible adverse effect on patient safety, regardless of its inherent toxicity (identity). Above this threshold, the potential effect of an impurity must be established based on its identity. To be analytically useful, this dose must be converted to a concentration by dividing it by the daily dose volume. The larger the daily dose volume, the smaller the AET and the lower the concentration at which extractables and leachables must be identified. For example, the safety concern threshold (SCT) proposed by the PQRI for parenteral drug products is 1.5 µg/day. For an SVP with a daily dose volume of 10 mL, the resulting AET of 0.15 µg/mL (150 ppb) can be challenging to achieve in chemically complicated parenterals. For an LVP with a daily dose volume of 1 liter, the AET of 1.5 ppb can be challenging in even the simplest parenteral drug product. Such an “AET challenge” makes extractables and leachables profiling even more difficult. Performing successful and practical extractables and leachables assessments for parenterals requires excellence in study design, skill in study execution, especially in analytical testing, and a profound understanding of materials, extractables and leachables, gained through extensive experience. With our vast experience, Nelson Labs Europe has developed a broad expertise in designing and implementing chemical testing programs for injectables and parenterals which leverage state-of-the-art analytical techniques, highly trained and competent analytical scientists, and knowledgeable study directors. Nelson Labs Europe has a long history of successfully partnering with parenteral product and packaging manufacturers and vendors to effectively and efficiently secure regulatory approval for their products. To find out more about our Injectables & Parenterals Packaging test services and programs, please feel free to contact us at infoEurope@nelsonlabs.com or call us at +32 (0)16 400.484.